SAN LUIS POTOSI, SLP--The first time I came to this city (about five hours north of Mexico City and about 13 hours south of the border--by bus) I was about three years old. It was my cousin Minerva's quinceañera and a big family affair. My grandma, other cousins, sisters, aunt and mom all rode the bus from the Texas border down to my Tia Paula's hometown. Though Jeremy and I briefly passed through here last year, it had been more than 20 years since I cruised through my aunt's old barrio. My Tia Paula and Tio Tino have retired after years in Chicago, and now split their time between San Luis Potosi and Arizona. It was nice to have family somewhat close by without having to travel all the way to the border. 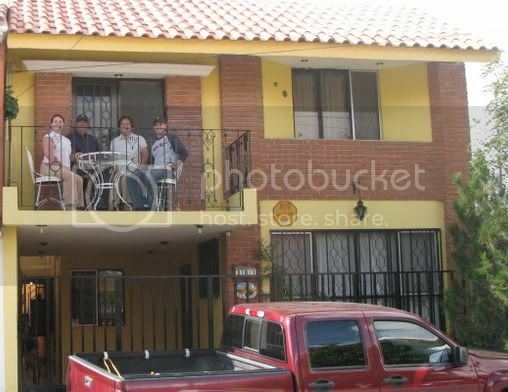 It was also more enjoyable to travel somewhere around Mexico City and not have to stay in a hotel like we usually do. 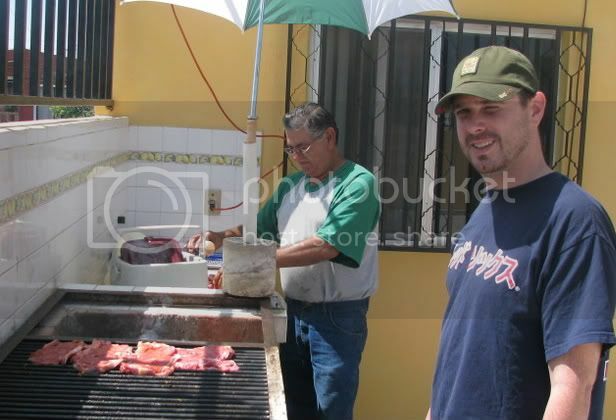 This time we stayed at my tios' house in a real neighborhood and got a taste of what it was like to live there. We met my parents there, who traveled from the border, and had a great couple of days of good comfort food and fun. Here we are sitting in the balcony of my tios' house. 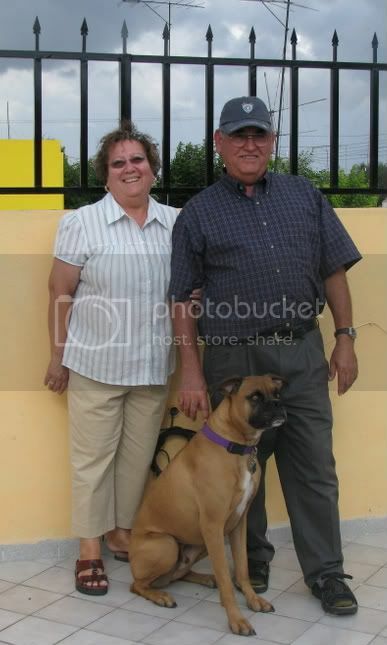 Mami and Papi enjoy the rooftop of the house with my tios' bilingual dog Brownie. Papi and Jeremy grill some steaks for a feast later that day.